What if you could ask Santa for any pen your heart desires, and he left it neatly wrapped under your tree on Christmas morning? 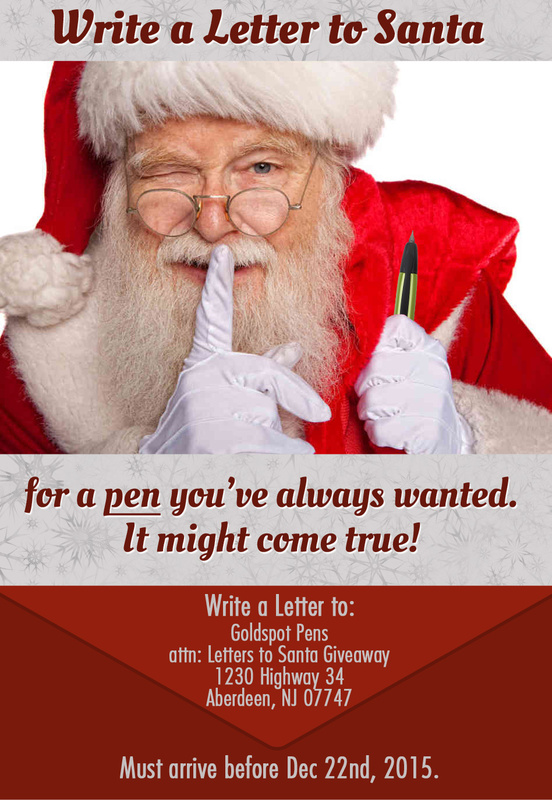 Tell Santa which pen is the one that you would treasure in your stocking. It can be anything, really. Shoot for the stars (or snowflakes . . . pen humor). Mail it to us as soon as possible before he begins his flight preparations on the 22nd of December. We'll make sure that the big man in the North Pole will get your letter. One letter will be picked the winner of this giveaway, and the wish on that letter will be granted. "Wait a sec, they'll probably pick the person who is asking for a Pilot Metropolitan for Christmas." Not so. We've got a BIG budget for this giveaway. Our biggest yet. Bigger than the last two giveaways combined! 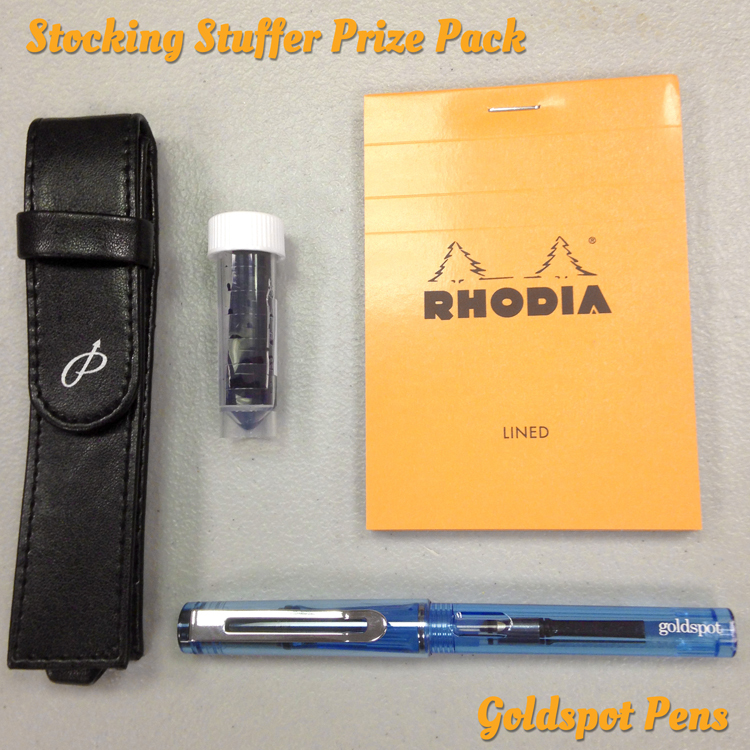 In addition to the grand price wish, we're also sending pen stocking stuffer prize packages to 3 lucky runner-ups. All entries for the Letters to Santa giveaway drawing must be received by December 21st, 2015 at 11:59pm EST. By participating in the Letters to Santa contest, you are giving us permission to share your name and images of your mailed-in submission on social media (your address and email will not be shared). Entries will not be returned to you and will become the property of Goldspot Pens. Please limit one entry per person. No purchase is required to participate. Odds of winning will depend on the number of entries received, estimated to be 1/200.